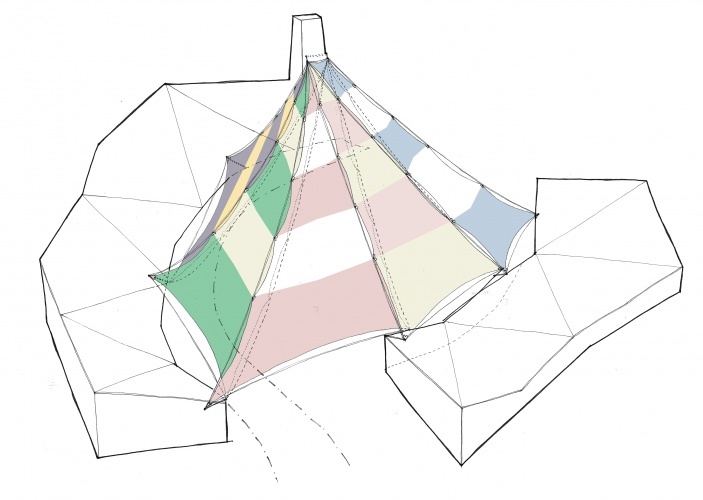 The designs for the new centre in east London are based on a colourful “big tent” concept. 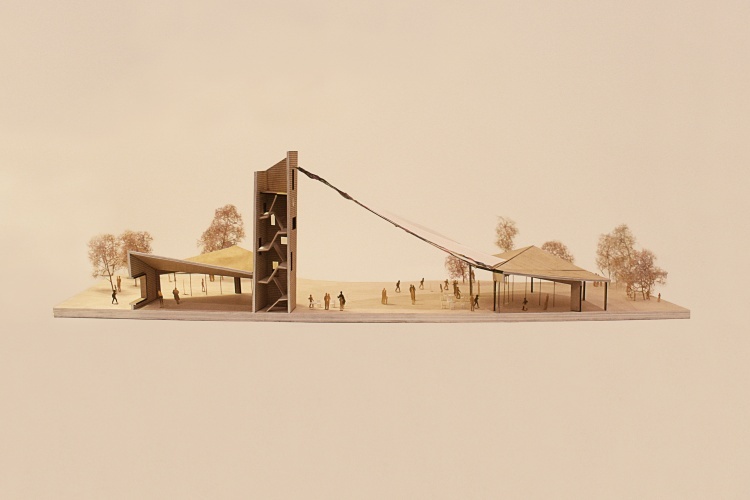 Architectural practice Tate Harmer has won a competition to design a new museum and visitor centre for The Scout Association (TSA) at its headquarters at Gilwell Park in Chingford, east London. The site – which Tate Harmer says is seen as the “spiritual home of Scouting” – is where Scout leaders first received training in 1919, and is currently a Scout Adventure Park. 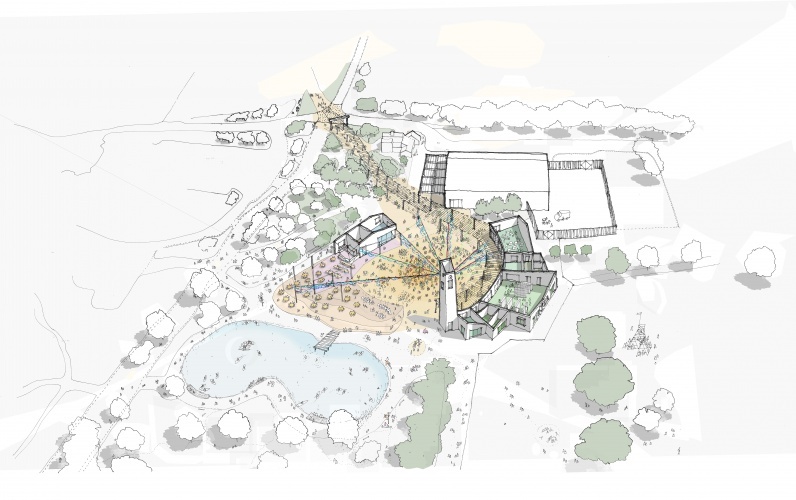 Tate Harmer’s designs for the 1,600m2 site aim to “create a celebratory and fun focal point for UK Scouting”, while also “enhancing the experience for its many international Scouting visitors,” says the practice. 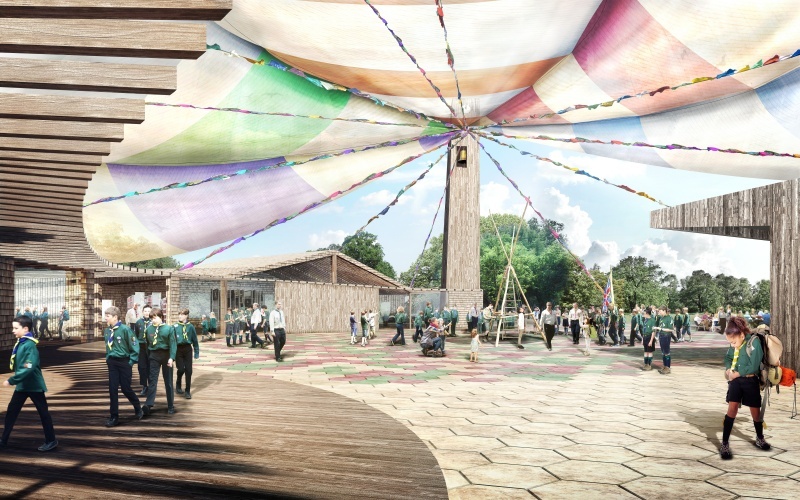 Covering roughly half of the space is a brightly coloured, waterproof “big tent”, providing a canopy over the central gathering area at Camp Square. “The concept is to provide a space for celebration,” says lead architect and partner at Tate Harmer, Jerry Tate. The “tent” will be made from polyester panels and can be customised and decorated with different coloured Scout neckerchiefs to represent the different troops who visit the centre. 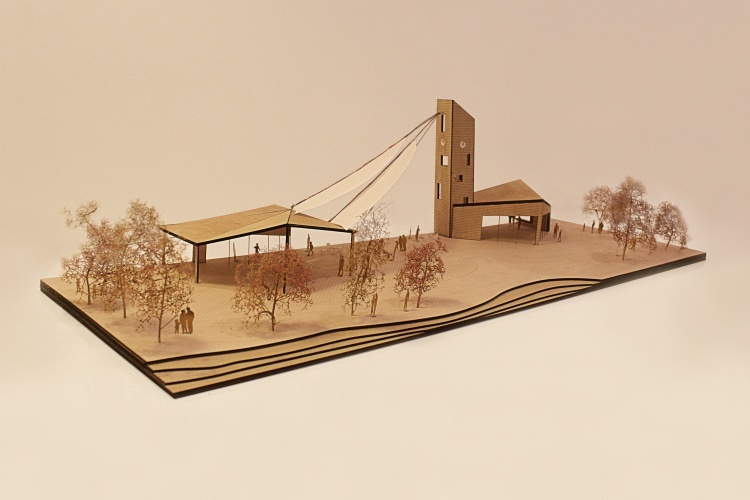 It is connected to a new, 15-metre high timber clock and bell tower, which will act as a “beacon” to guide visitors along a new heritage trail. The exhibition space will look to tell the story of the Scouting movement and its founder Robert Baden-Powell, with exhibits including his Rolls-Royce and caravan. 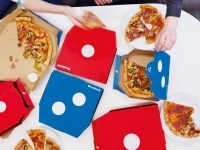 It will also include an archive store, and a new café and shop. 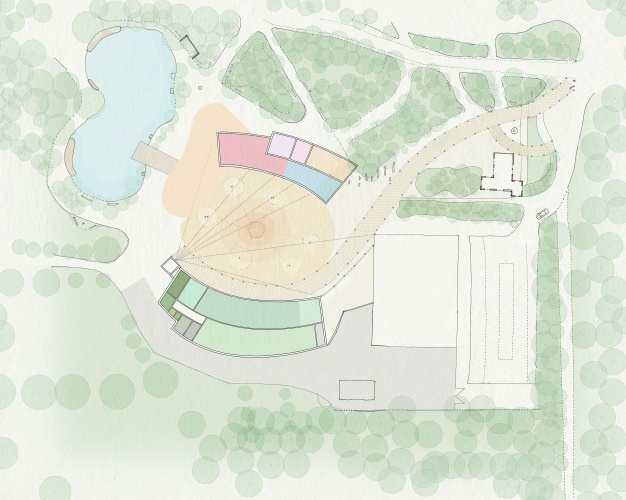 Tate Harmer is currently in the process of selecting a designer to collaborate with on the exhibition design, and will also work with landscape architect, Adams Habermehl. 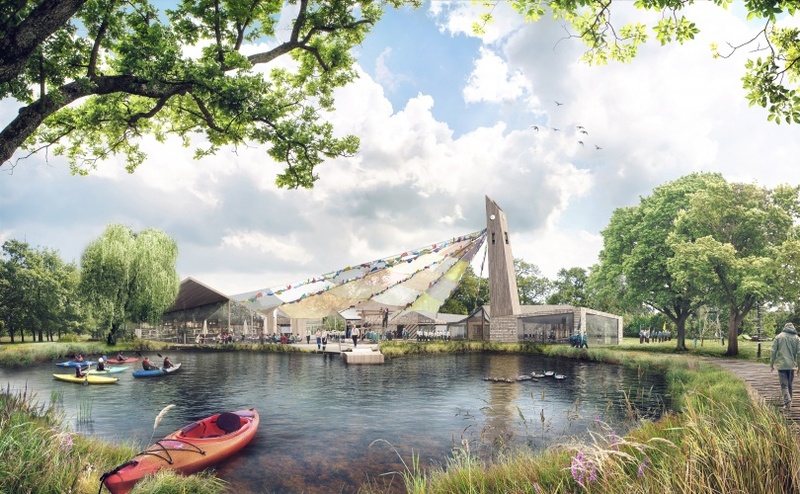 The other proposed buildings are single storey and timber clad, with “simple, honest, robust and natural interiors” where the Scouts will carry out various activities, says Tate. “It has to be like that for practical reasons, but we also think that reflects the nature of being a Scout,” he says. The TSA is applying for Heritage Lottery Funding for the project, and construction is expected to be completed by 2020, pending planning approval. Design in 2017 – what will interiors look like?